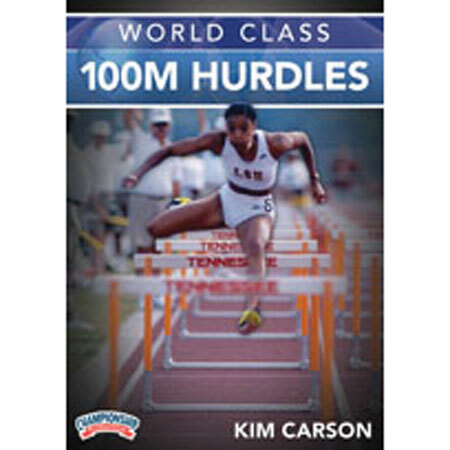 In this 12-part, information-packed presentation, Kim Carson leaves no stone unturned delivering technique, drills, training strategies and coaching tips for hurdle success. You will benefit from Carson's experience as an elite athlete and from her experience as a coach of beginning and elite hurdlers. •Start - Gain insight into all aspects of the block start from setting the blocks to backing in, set position, and an explosive start. •Acceleration Phase - Learn how what happens from the blocks to the first hurdle can be the difference betweeb a good hurdler and a great hurdler. •Maintenance Phase - Train your athletes to develop rhythm for the full race. 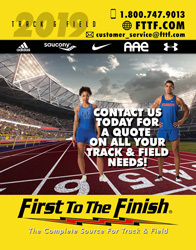 •Finish - Get tips for coming off of the 10th hurdle and finishing with a lean at the line. •Keys to Success - Learn technical and tactical coaching tips to maximize your teaching skills. In the training segment of the DVD, Carson provides an overview of the five Bio Motor Elements of training and three training phases; general, competitive and transition/rest. Carson offers recommendations for how to divide your season into these critical phases, zeroing in on a typical high school season. Next, Carson breaks down practice planning and goes through each of the three training phases providing a focus for each day of a typical training week. This is THE most comprehensive 100M hurdle instructional DVD you will find. This hurdle technical and training instruction is appropriate for any hurdler, male or female.